A U.S. Navy man, a customs inspector, even a cabbie—that’s a bio we can buy. But an acclaimed sci-fi novelist who didn’t publish his first book until after he had turned 50? Now that definitely sounds like a work of science fiction. Yet this is the life of 81-year-old Jack McDevitt, MALS ’72, best-selling author of 22 novels, including the acclaimed Alex Benedict series and the Priscilla Hutchins series, whose themes center around contact with alien races and xenoarchaeology. Throughout his work, he expresses a sense of wonder about the universe. 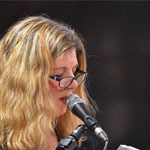 A highly acclaimed contributor to the genre, McDevitt has been nominated more than any other author in history for the top yearly accolade in sci-fi and fantasy novel writing published in the United States—the Nebula Award for Best Novel. At one point, however, McDevitt thought it was his writing career that would be history. It surely wasn’t Dickens’s intention to have his talent sour another’s. But looking back, McDevitt says his long hiatus was just the ticket for his ultimate big break. “I needed time,” he says. He also needed encouragement from his wife, Maureen. Even though success has never eluded him, one thing did for years: the Nebula Award for Best Novel, presented by the Science Fiction and Fantasy Writers of America. 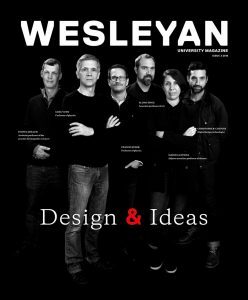 McDevitt has been nominated for the prestigious prize 12 times. “I believe at one point I had been nominated seven or eight times without winning!” he laughs. “But when I finally did win, my feet didn’t touch the ground.” Seeker proved to be that winning novel. From a series about his character Alex Benedict, an interstellar antiquities dealer, this entry involved coming across a cup from a starship. Except, how could that be, when the starship had never returned from its one flight? 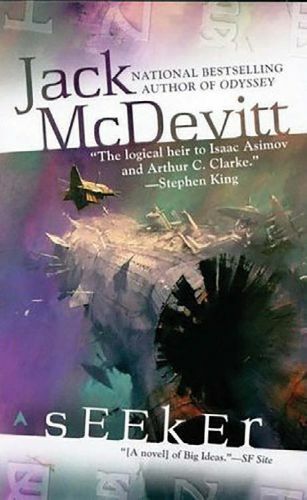 Even if he never types another word on his computer keyboard, McDevitt has already cemented his reputation as one of the most respected science fiction writers of all time. Why then, at 81, does he continue to write?